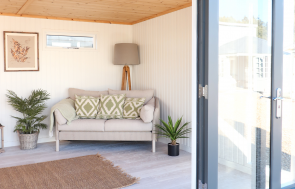 Measuring 2.4 x 2.4m, the building has a pent roof covered in our heavy-duty, heat-bonded felt for enhanced durability and a smooth exterior thanks to the shiplap cladding. 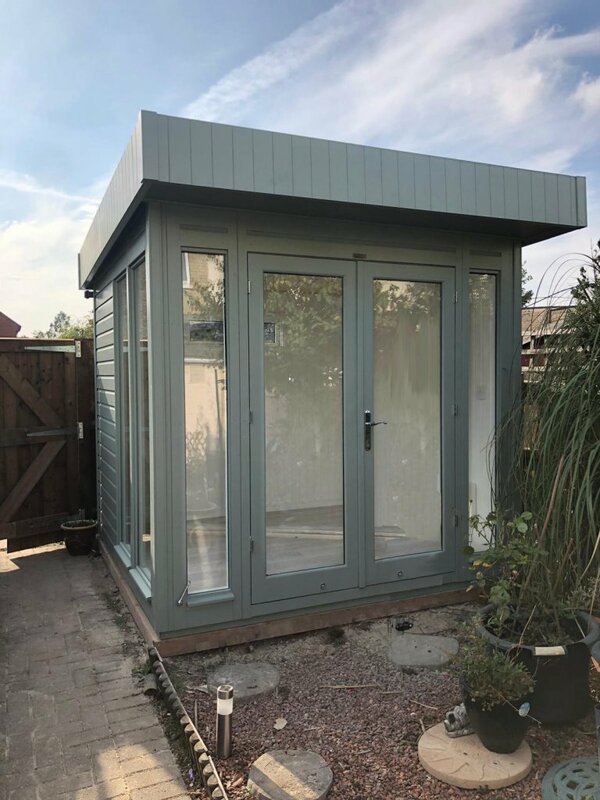 The customer selected the exterior shade of sage from our vast range of exterior paint options and black guttering was also added to keep off the wetter weather. Internally, the customer opted to have the building fully insulated with an electrical pack installed so that lighting and appliances can be used all year-round. The studio also has painted internal lining in the airy shade of ivory and engineered flooring in the shade of Copenhagen, a stylish option that boasts sound absorbing and further insulating qualities. If you have been inspired by this Salthouse Studio, you can continue browsing online or by visiting your nearest show centre, which can be located here. 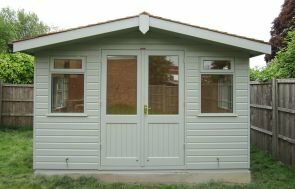 Alternatively, feel free to contact us at any time on 01760 444229.